The mayors of some 400 European cities have pledged to make “drastic” cuts in CO2 emissions by 2020 during EU Sustainable Energy Week 2009, reports the International Institute for Sustainable Development. Centered at the EU Commission headquarters in Brussels, the five-day conference has attracted more than 6,000 registered participants and visitors. One hundred forty six associated events are taking place in 52 cities. The signing of the “Covenant of Mayors” is one highlight of the EU’s campaign to address and raise public awareness of climate change and energy security across the 27-nation bloc. Recent events have heightened recognition of the degree to which the EU relies on imported natural gas and oil to keep the lights on and the wheels of industry and commerce turning. As demonstrated by its recent disputes in the Ukraine and Georgia, Russia has effectively once again nationalized the energy sector and shown a growing tendency to exploit the fact that it’s the EU’s largest supplier of natural gas. The climate change action covenant calls for EU mayors to enact sustainable energy action plans that include a series of emission reduction targets and obligations within 12 months. Progress is to be monitored closely by external assessments and the submission of status reports on a regular basis. This commitment by EU’s leading cities to cut CO2 emissions is indicative of the consensus that is emerging at the local level to reduce pollution and improve energy efficiency. The EU’s Sustainable Energy Week is a timely opportunity to focus attention on these critical issues and to give European stakeholders the opportunity to showcase potential solutions,” EU energy commissioner Andris Piebalgs stated on his blog. 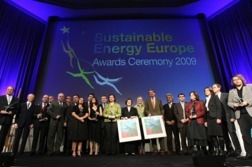 Another highlight of EU Sustainable Energy Week is the announcement of winners of the Sustainable Energy Europe Awards 2009. Some 251 organizations were involved in this year’s competition, which recognizes outstanding and innovative programs and actions by Sustainable Energy campaign partners. Winners across a range of categories were chosen from a short-list of 25 nominees and announced Tuesday, February 10. “Our sustainable energy goals will require difficult choices. We have to be ready to make bold decisions today in order to achieve progress tomorrow. Not only politicians, but each of us have to take a minute and think how we can contribute towards that. Even small things can make difference. 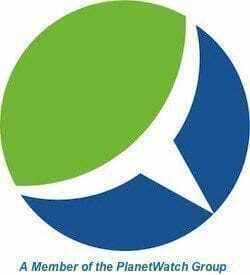 Therefore I hope that the Sustainable Energy Week will be a good occasion to exchange views and good practices that afterwards could be implemented in our daily lives. Let us use this week to show that we have the spirit, ingenuity and enterprise to succeed,” Piebalgs writes. You can view live and saved webcasts of EUSEW events in Brussels and around the EU by following this link. Reduce Co2 Footprintwhich will provide better ways to tackle.